In the wastelands of Vigilus, a new kind of Waaagh! rages. Engines roar, cannons boom and green-skinned warriors laugh as they outmanoeuvre (or blow up) their rivals in fast-paced races through the desert dunes and scrap-towns. 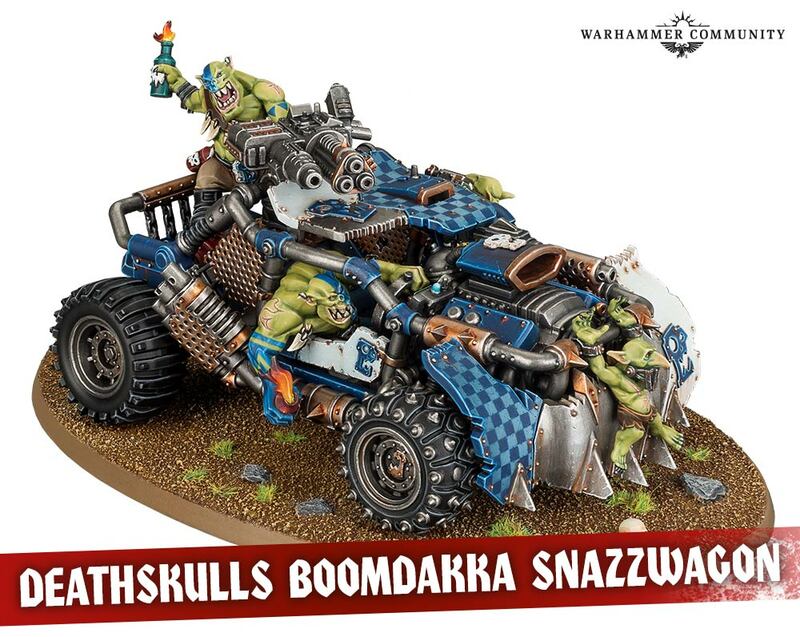 If the Orks are a force of nature, then the Speedwaaagh!, much like a conventional Waaagh!, can be likened to a natural disaster that fell upon the world of Vigilus – literally. When the Great Rift first ripped itself across the sky, it spat out an armada of ramshackle Ork craft that blasted through the cordon around the Imperial world and crash-landed in the desert wastes between Vigilus’ hivesprawls. The surviving ships were quickly cannibalised by enterprising Meks and scrap cities rose around them, from which issued hordes of cobbled-together vehicles of all shapes and sizes. The Orks quickly discovered that Vigilus’ cities were protected by powerful force fields, making them impregnable to the greenskins’ assault. In their inimitable style, the Orks adapted and turned their attention to their two other favourite activities – scrapping amongst themselves and racing across the length and breadth of the planet. These races are more than just vehicles speeding toward a finish line. Orks are renowned for being both brutal and kunnin’, and their races put both those qualities to the test. If an Ork can win just by going really, really fast,* that’s great – but if they can take their opponents out with big guns or sneaky traps, that’s even better! 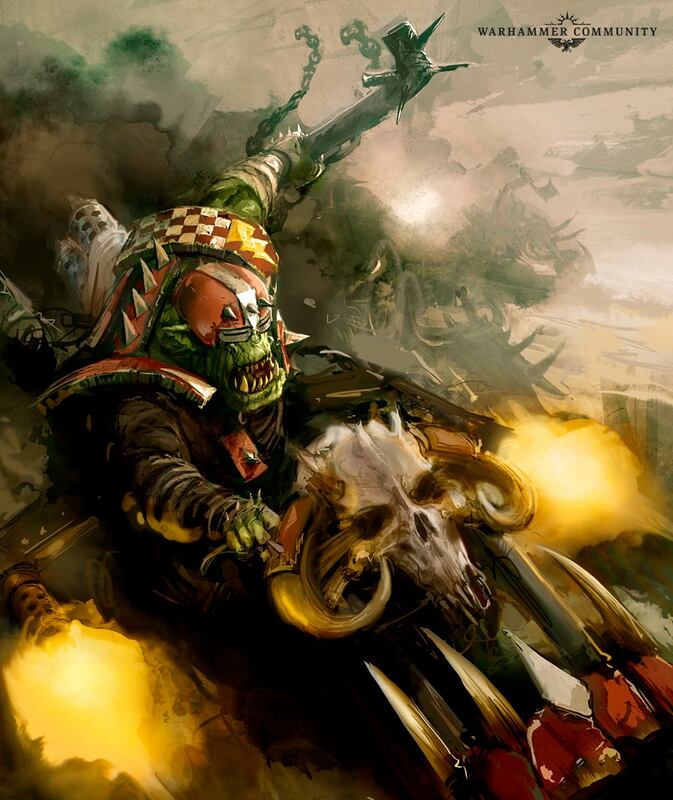 Unusually, it’s not just the speed-obsessed Evil Sunz** who take part in the Vigilus races – a huge part of the Ork kultur on the planet has become dedicated to the Speedwaaagh!, with even the staunch traditionalists of the Snakebites*** and the stealthy Blood Axes eschewing their usual methods of war in favour of joining in the fast and furious fun. In fact, each clan has taken to the Speedwaaagh! so well that they’ve adopted their own ways to gauge success in these races. 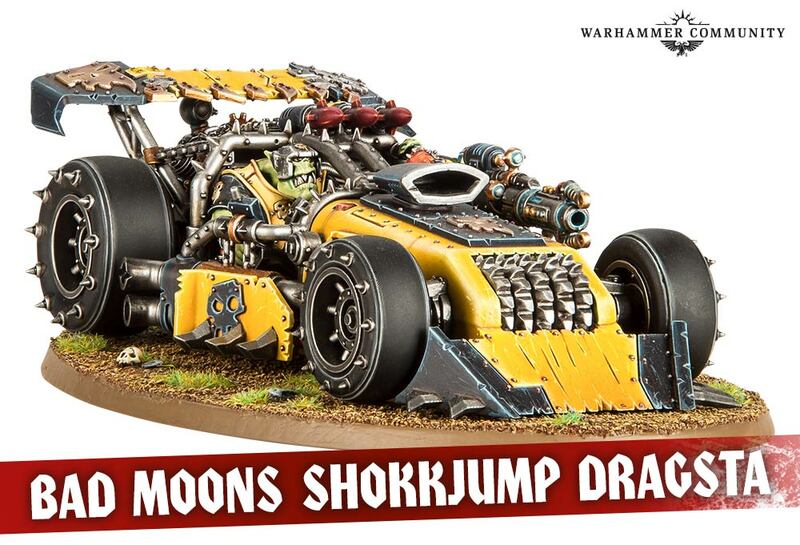 The rich Bad Moons are able to make their vehicles the finest (and shiniest) around, while the Goffs have made an art out of getting up-close and giving their rivals a good krumpin’, even at speed. The Deathskulls, on the other hand, use their resourcefulness to grab burning wreckage from destroyed vehicles and patch up their own. In Ork society, the strongest inevitably rise to the top, and the Speedwaaagh! is no exception. 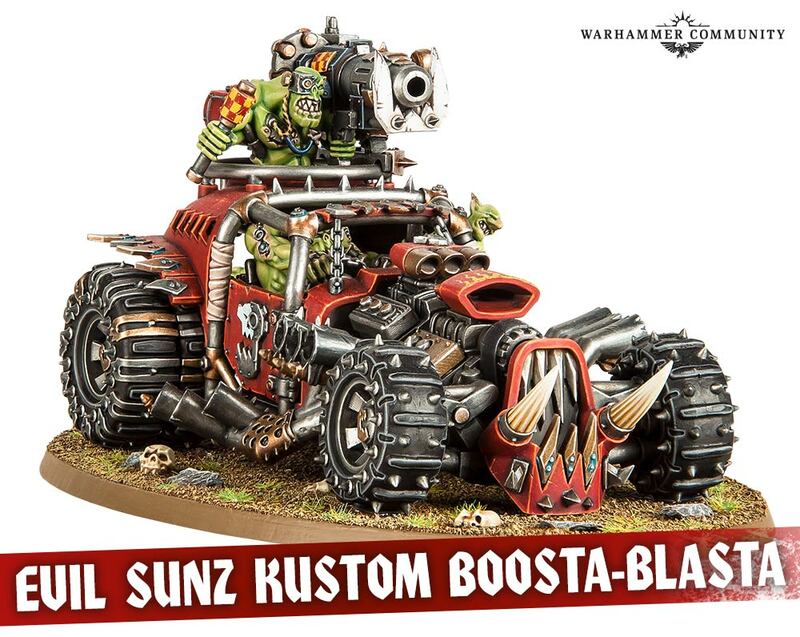 Various mobs have risen out of the pack and lead the way, foremost among them the Blastamob of the Evil Sunz, whose red-painted vehicles really are the fastest, and the Bad Moons Shokkaboyz, whose snazzy Mek-wagons are as powerful as they are impressive. Most revered of all is the greatest of the Big Meks on Vigilus, Krooldakka. Master of the Scrap City known as Fort Dakka, and leader of the Waaagh! that fell upon the planet in the first place, this Speedlord Supreme rules over dozens of speed mobs and Battlewagon mobs. He cemented his position after an act of the purest kunnin’ that allowed the Orks to breach the Fortwalls that divided Vigilus, opening new racing routes across the planet and firmly installing him as the master of all he surveyed – even if he only surveyed it briefly, in a blur, as he sped past. 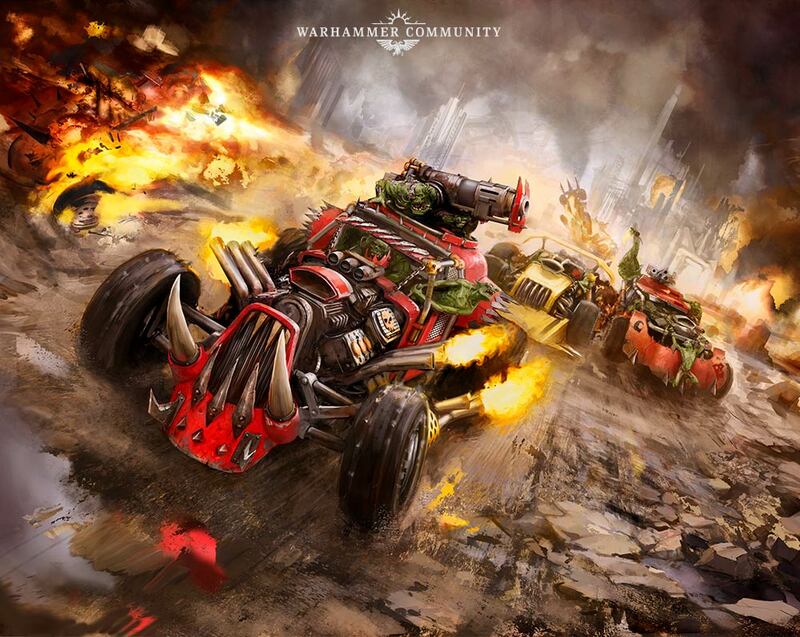 With so many Orks on Vigilus, constantly testing the defences of the great hivesprawls (not to mention other enemies lurking within the dark places of the cities), it is only a matter of time before the Speedwaaagh! overcomes the Imperial defences and the racers get a whole new set of dangerous routes to race across and new enemies to test their wagons and bikes against. Until then, the races will continue – and you can join in with them through the upcoming Speed Freeks boxed game! 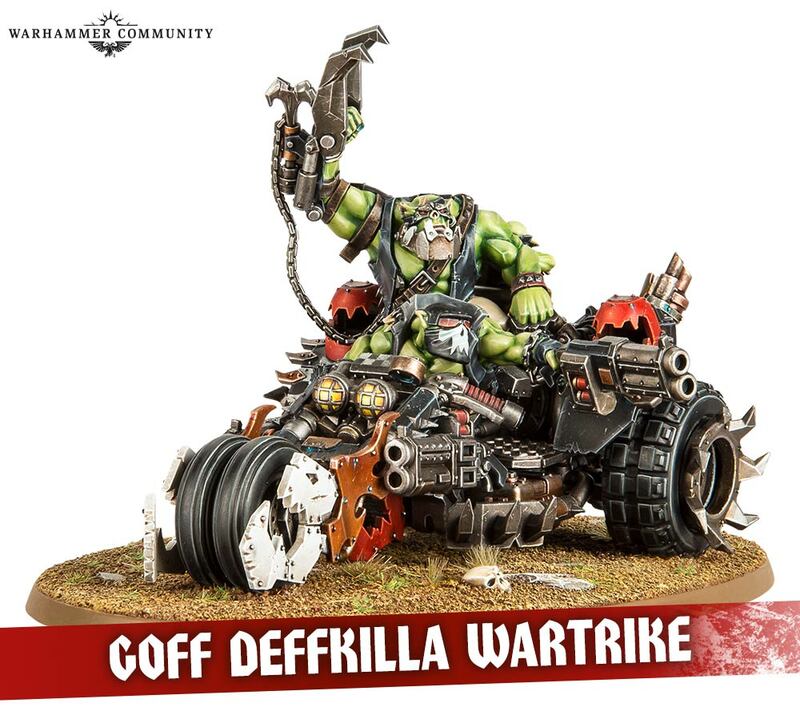 Plus, when the new Codex: Orks comes out, you can build your speedmob into a bigger force and take a crack at Vigilus yourself! Waaagh!